Every year I devote three days to the OFFSET design conference in Dublin. It's not my industry but the relentless high energy visuals and thumping audio are a useful yearly reset of the senses and imagination. My 2017 dose was only a week ago, so the rioting imagery in my brain has yet to fade. The design work was done by an Irish / Swedish creative partnership based in Sweden. Which explains the OFFSET flashbacks too, since the same team was responsible for the visual identity of that conference a few years ago. 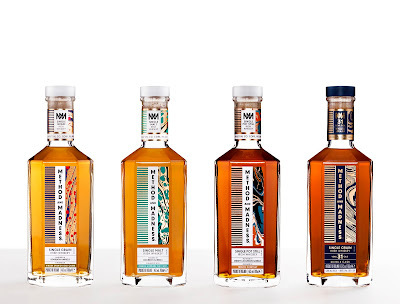 It's not hard to detect some DNA from that project reappearing in the look of these new whiskeys. We've always known Midleton had "method". They know how to make good whiskey, over and over again, by bringing centuries of accumulated experience and modern science to bear on a process prone to natural variation. But what's this hitherto unsuspected vein of insanity they are confessing to? The "madness" of Midleton has not seen the light of day till now. Instead it has languished in dark warehouses, fettered by hoops of iron, unacknowledged and unclaimed by the Jameson and Powers families. It is a lake of misfit whiskey, the outcome of experiments in distillation and maturation, accumulated over many years. In 2015 Midleton's new micro-distillery started kicking in another 400 casks a year of unusual liquid. The new catch-all brand, "Method and Madness", is a compassionate release programme for all those oddball spirits that otherwise have no hope of escape. 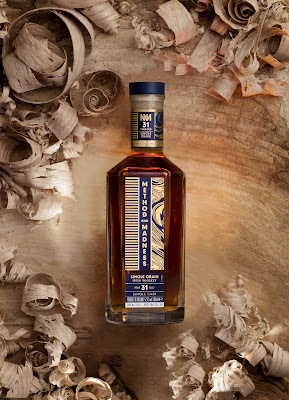 Midleton held out on a single grain bottling until a limited edition for the Irish Whiskey Society in 2015. The Method and Madness Single Grains are their first for the open market, as far as I know. The finishing wood is a departure too. Well, not the Galician oak in itself, which is a staple of Midleton maturation in the form of ex-sherry casks. The twist here is that the Spanish oak has not been seasoned with sherry before being filled with Irish whiskey. After maturing in ex-Bourbon barrels to achieve a light, perfumed flavour on the exceptional grain distillate, the whiskey has uniquely been finished for 12 months in toasted, virgin Spanish oak from Galicia, North West Spain. 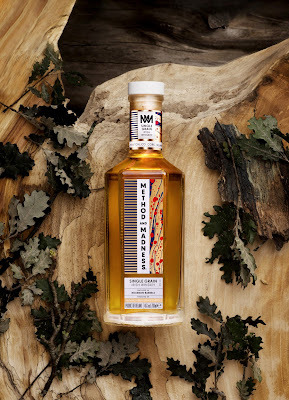 The process added complexity, cask character and a spicy note until the perfect balance between the subtlety of the grain spirit and the contribution of the Spanish oak was skilfully mastered. There is a little extra wiggle room in the definition of Irish whiskey compared to Scotch. Whereas Scotch must have been aged in oak casks, Irish whiskey regulations specify simply that the casks must be wooden. It has only been of theoretical interest up to now, because in practice oak is exclusively used in Ireland. But they are curious folks at Midleton and because they could, they did. Seven chestnut casks were commissioned from a cooperage in Bordeaux. The wood is sometimes used for wine in Europe. I learned, by the way, from Master of Maturation Kevin O'Gorman, that the sweet chestnut tree involved here bears no relation to the horse chestnut tree we are more familiar with in Ireland. It is, rather, a first cousin of beech and oak, and grows reasonably straight and knot-free, making it suitable for coopering. The seven toasted virgin chestnut casks were used to finish a medium style pot still whiskey for 12 months. There are 900 cases in this batch but there are more casks being filled so if it's well received, we'll see it again. When Midleton Dair Ghaelach was released, the distillery boffins noted the higher contribution of furfural and vanillin from Irish oak, compared with American or Spanish oaks. These are credited with imparting enhanced vanilla, caramel and chocolate flavours. According to Kevin, the levels of these compounds in sweet chestnut are higher still. The entirely natural mahogany hue in this whiskey is another effect of the unusual wood. 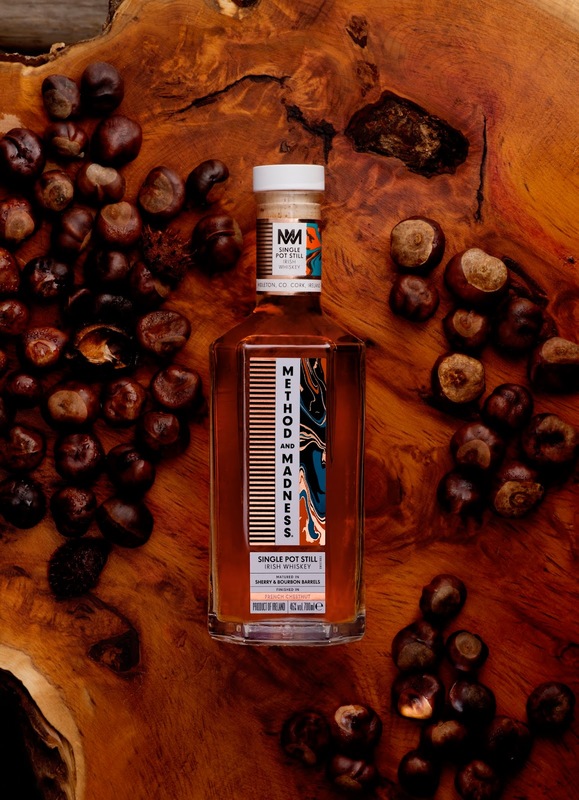 This Single Pot Still Irish Whiskey has been matured in a combination of ex-Oloroso sherry and ex-Bourbon barrels, before being transferred to chestnut casks sourced from the Isère region in France. In a world-first, the French chestnut casks impart a distinctive sweetness that lightens the mouth-feel, increases depth and adds a mahogany glow. Here's another unusual wood for Irish whiskey, this time French oak from Limousin, typically used for cognac maturation. The bigger shock, though, is that the guardians of the pot still whiskey style have released a single malt (the first for many years). 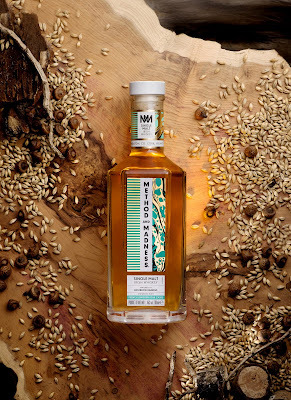 Now Midleton does make malt but this particular spirit was distilled at Bushmills in 2001 or early 2002, when both were owned by Irish Distillers. It was distilled by Dave Quinn, in fact, now Master of Science at Midleton. When Bushmills was sold off, this parcel of malt came to Cork. 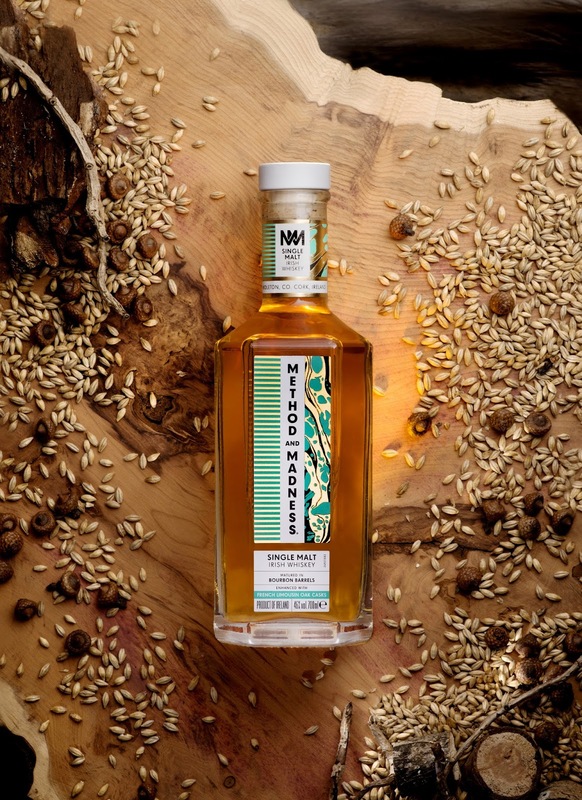 The first Single Malt Irish Whiskey released from Midleton in recent memory, the whiskey has been initially matured in ex-Bourbon barrels, imparting flavours of malt and biscuit, and in a first for the category, has been part-finished in French Limousin oak for one year to add a lighter, floral and herbal note. If any part of the new range demonstrates madness, it is putting a €1,500 single grain in the same package as a €49 single grain. If a point is being made, perhaps it is that nothing about Method and Madness is predictable. Keeps us guessing. Three refill bourbon casks were emptied and bottled separately. Each yielded about 100 bottles at a surprisingly healthy cask strength of 51.3-52.5%. A bottling of exceptional single grain distillate matured in an ex-Bourbon cask for 31 years, this rare single cask release has developed a full deep grain character and a taste of honey, juicy mango and ripe melon with an endless dark wood and spicy finish. There are many more weird and wonderful experiments quietly maturing at Midleton. More exotic wood types, for example. Or the 95% rye / 5% malted barley mash coming off the main stills at the moment to be filled into bourbon casks. Eleven distillate types have already been distilled in the micro-distillery from old and new recipes. Rye and oats. Malt and pot still. Triple- and double-distilled. Different yeasts are a whole new area yet to be explored. There are no limits to the variations possible. We should not forget, of course, the blender's art in all of this. We are not sampling the raw output of random experiments, but selected notes from those trials chosen to enhance and complement the other components of the blend. If the result tastes good, it is the clearest illustration of the method beneath the madness.